"A Furniture Family that treats you like family. Since 1983 our family has been delivering furniture and mattresses for your entire home. Always striving to give you the best quality and service, it is what keeps customers coming back. We buy directly from the factory to save you money because furniture or mattresses do not have to break your budget. We are a full line furniture and mattress store, we have Living rooms, Bedrooms, Dining rooms, Dinettes, BunkBeds, Storage Beds, Captains beds, Daybeds, Clic Clacs, Sleepers, Futons, Coffee Tables, Lamps, Mattresses etc. 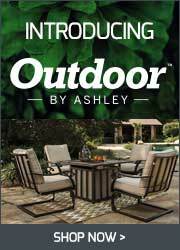 offering low prices from numerous name brands such as Ashley Furniture, Signature Design, Millennium, Benchcraft, Simmons Upholstery, Serta Mattresses, Therapedic Mattresses, Mllily, Coaster, Acme Furniture, Standard Furniture, Global Furniture, Homeelgance, Powell etc. And we deliver in Bayshore, Brentwood, Brightwaters, Central Islip, Great River, Deer Park, Babylon, Sayville, West Sayville, Oakdale, Bohemia, Ronkonkoma, Commack, Huntington, Dix Hills, Wyandanch, West Islip, Copiague, Lindenhurst, Amityville, Patchogue, Holbrook, Hauppauge, Holtsville, Kings Park, Riverhead, Shirley, Mastic, Moriches, Brookhaven, all of Suffolk County, Nassau county, Queens and the tri-state area. Thank you, we look forward to seeing you soon.